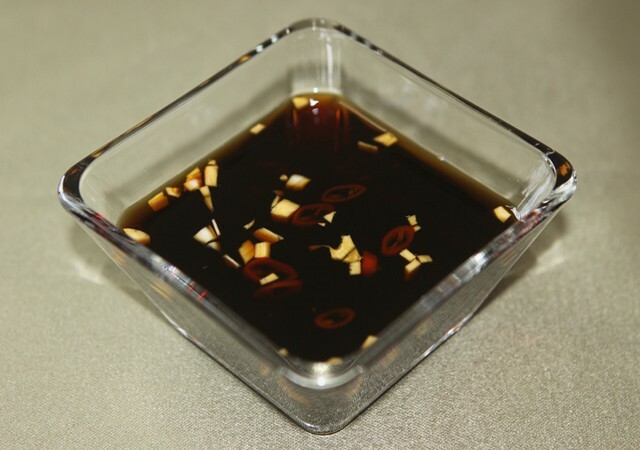 This recipe is a great vegetarian alternative to dipping sauces made with fish sauce. I use a gluten-free tamari which I find has a smoother, mellower taste than traditional soy sauce. This recipe uses ingredients similar to my fish sauce dipping sauce but I substitute rice wine vinegar for the distilled vinegar. Rice wine vinegar is sweeter than distilled vinegar and compliments the tamari perfectly. When my dishes require making dipping sauces, I always provide this wheat-free, vegetarian alternative. My friends and family love it and I hope you will too! In a small bowl, combine all ingredients together until the sugar is dissolved. Serve the dipping sauce with spring rolls, rice plates or as a dressing. Store any remaining sauce in the refrigerator. Enjoy within the week.